The Smith Center for the Performing Arts and The Rogers Foundation has announced nominations are now open for their fourth-annual Heart of Education Awards, recognizing outstanding educators in Clark County School District. Community members are encouraged to nominate teachers through Jan. 18, as hundreds of award finalists will be celebrated at a special, red carpet event in April at The Smith Center. Anyone can nominate a CCSD teacher who goes above and beyond at TheHeartOfEducation.org. The Heart of Education Awards event will honor finalists with live entertainment, swag bags and a surprise keynote speaker. The top 20 teachers will be named winners, with each receiving a $5,000 cash prize and a $1,000 donation to a school program of their choice. All submissions will be reviewed by a group of community leaders and education experts. The Smith Center, a nonprofit organization, created the Heart of Education Awards in 2015 to promote teacher recruitment and retention in CCSD. The Heart of Education Awards is made possible by a long-term commitment from The Rogers Foundation in support of honoring hardworking educators in Southern Nevada. CCSD Superintendent Dr. Jesus F. Jara welcomes this opportunity to honor impactful educators. Over 750 educators were recognized at the third-annual Heart of Education Awards event in April 2018. Since this awards program began, a total of 61 teachers have received Heart of Education Awards. The Las Vegas Review-Journal serves as the print media sponsor for this awards program, with additional support from KSNV-TV (News 3) and The CW Las Vegas. 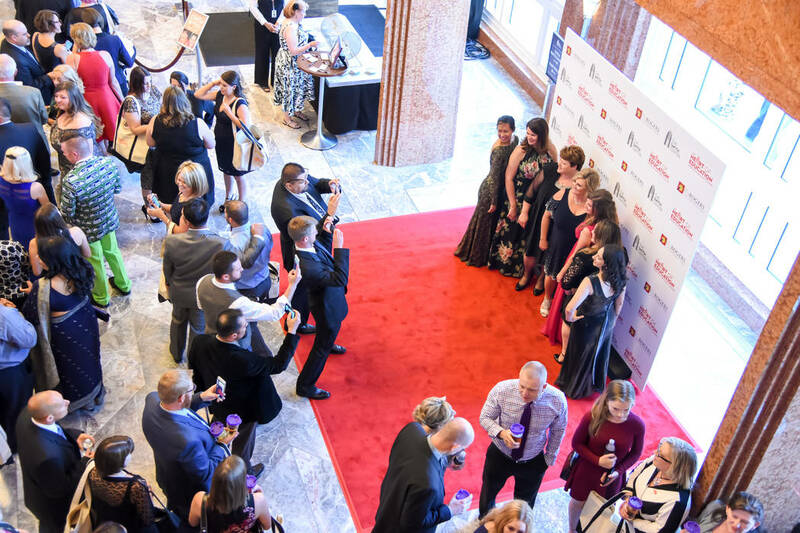 Intended as a community-wide support mechanism for educators, The Heart of Education Awards welcomes sponsorship opportunities to further engage transformation across CCSD. To pledge your support, contact Tanja Brennan at 702-749-2342 or TBrennan@TheSmithCenter.com.